The University of Witwatersrand's School of Journalism in Johannesburg, South Africa, has a program to support journalists who want to do deeper reporting on China-Africa relations. They are now issuing a call for five Chinese journalists who wish to spend 2 to 3 weeks with an African journalist exploring a China related topic in Africa. Applications and description here. This is a great program. 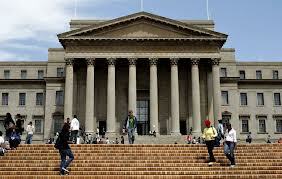 I've met Anton Harber, Brigitte Read, and the others leading the program at Wits. They're top notch journalists themselves, and doing a very useful service for unpacking this complicated relationship and getting reality-based reporting. Highly recommended.